Did you know January 1st is one of the busiest days of the year at animal shelters across the country? Combine booming, whistling fireworks with loud parties and lots of alcohol and there’s no surprise why so many pets escape on New Year’s Eve. Below, you’ll find some tips on how to keep your pets safe this New Year’s Eve. But even if you take all of these precautions, we strongly recommend microchipping your pets. Collars can break and tags can fall off. 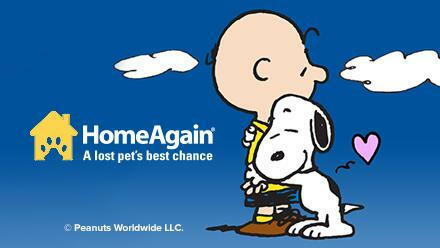 Microchipping is the fastest, easiest way to get your beloved pet back home to you. Every vet, shelter, and emergency vet has a microchip scanner and microchip companies are open 24/7. When your pet’s microchip is registered, you can add unlimited contact names and phone numbers. So whether your pet is found at 3 pm or 3 am, you can be reunited immediately. Interested in getting your pet microchipped? We can schedule a quick 10-15 minute appointment anytime during office hours. Just call us at 504-899-2828. Now that your pet is microchipped & your contact information is current, let’s talk about other ways to keep your pets safe on New Year’s Eve. If your dog doesn’t have firework anxiety, consider yourself lucky. But remember, it can develop at any age and in any breed so you should always be prepared. It’s not as common with cats, but it does happen. Not sure how your pets feel about fireworks? Consider how they react to rain and other loud noises. If they’re cowering at your feet after a crack of thunder or a mail truck driving by, they may also be sensitive to fireworks. If you think (or already know) your pets have firework anxiety, call your veterinarian to see if they would recommend a sedative. Give your pets plenty of exercise before the night begins. A tired pet is a calm pet. Take your pups to the park and bring out the feather toy for the kitties. Set up a “safe room” for your pet whether you’re hosting a party or going out for the night. If they’re already used to being in a kennel, that’s the perfect place. If not, use a spare room or bathroom - anywhere they can’t injure themselves or any of your belongings. - Turn on the TV or plug in a sound machine to help drown out the noise. - Give them a long-lasting chew and their favorite toys. - Sprinkle some catnip for cats. If you would like us to microchip your pet before the holiday, we will be open regular hours Friday (8 am to 6 pm) and Saturday (8 am to 1 pm). We are closed on Sundays, and we will be closed on Monday January 1st. We will reopen at 8 am Tuesday. We hope you all have a safe & happy New Year!